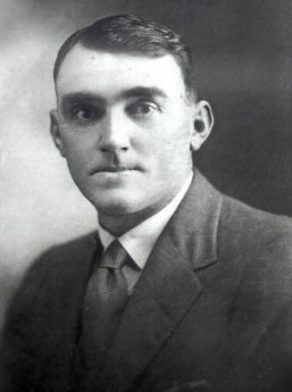 Francis ‘Ted’ Edmund Miller was born at Cooma, NSW, in 1879, son of Edmund Percival Miller and Margaret Sarah, née Chapman. In 1914 he married Nancy (Nance) Smyth at Glebe. There was one son of the marriage. Francis Edmund Miller died at Leichhardt on 11 October 1935, aged 56 years, survived by his wife. He was buried with Masonic rites in the Anglican section of Rookwood Cemetery. Nancy Miller died on 12 July 1967, aged 74 years. Francis Miller was the secretary of the Amalgamated Road Transport Workers Union, and later Federal President. He was a delegate to the West Sydney Electorate Council. In 1931 he was appointed to the Transport Co-ordination Board by the Labor Government, later becoming a Transport Commissioner. He was subsequently appointed to the Railways Staff Appeals Board. Miller reacted to Glebe Mayor Walsh’s suggestion to tax charities. He told Council in 1926 ‘we do not want it broadcast throughout the country that Glebe, a Labor Council, was the first to move that charitable institutions should pay rates; it would be a cruel thing to add to their burdens’. Miller was a member of Glebe Masonic Lodge. An alderman of Sydney City Council 1930-31, Miller stood unsuccessfully as the Labor candidate for Burwood in 1930. He served as a corporal in the First Imperial Light Horse in the Boer War. Miller was one of the first Labor Aldermen to serve on Glebe Council from 1923 to 1927. He was part of the Glebe Council motion in 1926 supporting Lang’s efforts to abolish the Legislative Council, endorsing principles of adult franchise and preference to unions, and requiring council employees to produce their union tickets. Francis Miller was Alderman for Phillip Ward on Sydney Council, 18 June 1930 to 1 September 1931. He was a member of the Works Committee, the Electricity Committee, and the Health and By-Laws Committee from 1930-31.